The publishing program of the Center for Applied Transect Studies is generously funded by The Richard H. Driehaus Charitable Lead Trust. 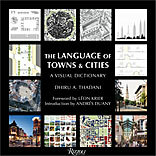 The Language of Towns & Cities, supported by the CATS publication program, is available from Rizzoli. Author Dhiru Thadani, winner of the 2011 Seaside Prize, has created a landmark reference to clarify the language of urban planning and design. Subtitled A Visual Dictionary, it includes a detailed glossary of more than 700 words and terms, abundantly illustrated with more than 2,500 photographs, drawings, and charts. Its comprehensiveness – from “A Streets” to “Zoning” – makes it an essential work for architects, urban planners, and students of design. Its accessibility – clearly explaining terms such as “sustainability,” “Zeitgeist” and “Bilbao Effect” – will help citizens, city officials, and other decision-makers find clarity rather than confusion when addressing the needs of their neighborhoods, towns, and cities. The Sprawl Repair Manual, supported through the CATS publication program, has been named one of the top urban planning books for 2011 by Planetizen. The Sprawl Repair Manual offers comprehensive guidance for transforming isolated, fragmented, and car-dependent development into livable and robust communities. Polemical as well as practical, the manual is designed to equip readers with strategies drawn from two decades of successful repair projects. It is the first book to provide step-by-step design, regulatory, and implementation process for the redevelopment of sprawl. From the scale of the region to the building – turning subdivisions into walkable neighborhoods, shopping centers and malls into town centers – today's sprawl can be saved. 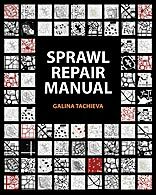 Written by Galina Tachieva and published by Island Press, this is a must-read manual for anyone implementing the Sprawl Repair Module. 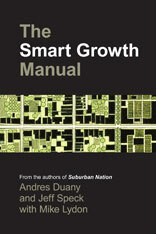 The second book supported by the CATS publication program, The Smart Growth Manual, has been released by McGraw-Hill. Both this book and The Architecture of Community (below) have been named to the Planetizen list of the Top Ten planning books of 2010. In The Smart Growth Manual, two of the authors of the landmark book Suburban Nation, Andrés Duany and Jeff Speck, join with urban planner Mike Lydon to explain what, exactly, Smart Growth is. From the expanse of the metropolis to the detail of the window box, they address the pressing challenges of urban development with easy-to-follow advice and a broad array of best practices. In Suburban Nation, Duany and Speck "set forth more clearly than anyone has done in our time the elements of good town planning" (The New Yorker). With this long-awaited companion volume, the authors have organized the latest contributions of new urbanism, green design, and healthy communities into a comprehensive handbook, fully illustrated with the built work of the nation's leading practitioners. 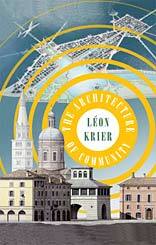 Léon Krier has long been regarded as one of the most provocative architects and urban theoreticians of our time, though until now his ideas have circulated mostly among a professional audience of architects, city planners and academics. The Architecture of Community makes his visionary planning philosophy accessible to a wider public, encouraging and illustrating a common-sense approach to urban planning. In The Architecture of Community, Krier refines and updates his thinking on the making of sustainable, humane, and attractive villages, towns, and cities. Illustrated throughout with his original drawings, the book offers a cure for the problems of modern urbanism and a practical, contemporary roadmap for the creation and completion of livable communities. CATS has commissioned or provided support for numerous books. Descriptions and links will be provided here as they are published.